As oil and gas production continues to move farther offshore and potential fields become increasingly marginal, deepwater riser technology continues to be a vital hydrocarbon extraction and transportation tool. EPC Engineer defines a riser primarily as “a pipe or assembly of flexible or rigid pipes used to transfer produced fluids from the seabed to surface facilities.” Additionally, it’s a mechanism for transporting injection and control fluids to seabed facilities. Risers are typically heavily insulated to reduce the impact of cold water temperatures and designed to handle the stresses of motion. Riser technology has been around since the mid-nineteenth century, albeit limited early on in capability and functional depth. By 1979, advances such as the free standing composite riser and articulated riser were showing promise for production depths greater than 365 meters. And the late 1980s and early 1990s saw some of the first uses of a hybrid riser technology, providing more flexibility and reduced fatigue loads. Today, a wide variety of risers are used, depending on the operational environment. Some risers like attached and pull tube risers are connected to fixed structures, whereas hybrid risers as well as some steel catenary risers (SCRs) are capable of being connected to floating and mobile production facilities. Each has its own benefits and subcategories. 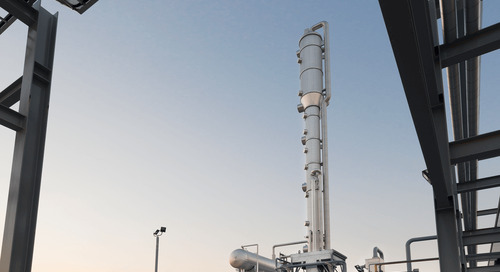 SCRs — first used in 1993 — are advantageous as a “cost-effective alternative for oil and gas export and for water injection lines,” though their weakness lies in their overall inability to handle fatigue damage. Hybrid risers are more flexible and can withstand greater horizontal and vertical forces. They come in configurations such as the freestanding hybrid (PDF), which has the advantage of using flexible jumpers that offset the vertical riser from the floating surface facility, essentially eliminating most of the effects of dynamic motion. However, even the most flexible of riser systems needs to be monitored to ensure its integrity. Most systems have a method to send an alert to a monitoring system when forces begin to degrade riser stability. Characteristics such as buoyancy (axial tension), bending stress, uplift forces, and angular motion can all be tracked, and the systems are given additional redundancy to ensure measurements are still accurate even with sensor failure. 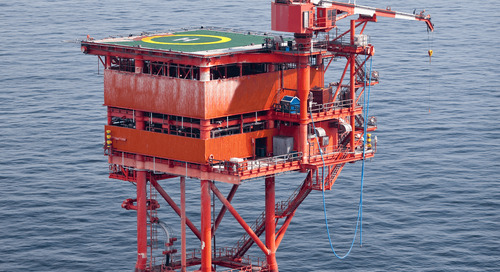 The post Innovative Riser Technology Vital to Offshore Production appeared first on Audubon Companies | Engineering, Field, Pipeline, Onshore and Offshore Solutions.